Buying a gift for your man can be tricky and nerve-wracking, especially if he's picky about the things he likes and dislikes. But if technology and timepieces are what he holds dear to his heart, this watch is the ideal gift for him. 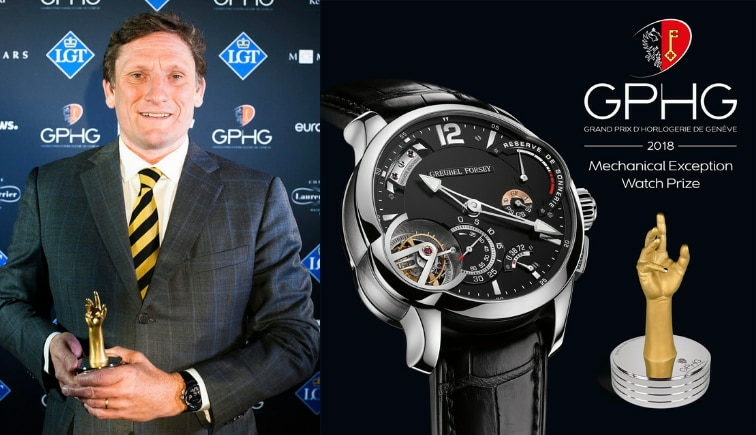 What makes it even more special is that it won the 'Mechanical Exception' prize at the Grand Prix d’Horlogerie de Genève (GPHG). The technology and mechanics of this watch are just as spectacular as its physical appearance. It is water-resistant and has impressive acoustics. Much like a stringed instrument, the titanium acoustic resonance cage was developed inside the case band itself, so as to provide the loudest possible volume. The extremely pure crystalline strike is transmitted thanks to one-piece double cathedral gongs–on three levels and respectively sounding high and low notes – that are visible through the tourbillon’s lateral window. The two striking hammers are notably visible on the dial side, featuring flat black-polishing, hand bevelling, and polished countersinks. The gold bridge supporting them is relief-engraved and has the same exceptional finishes, as well as straight-grained flanks. 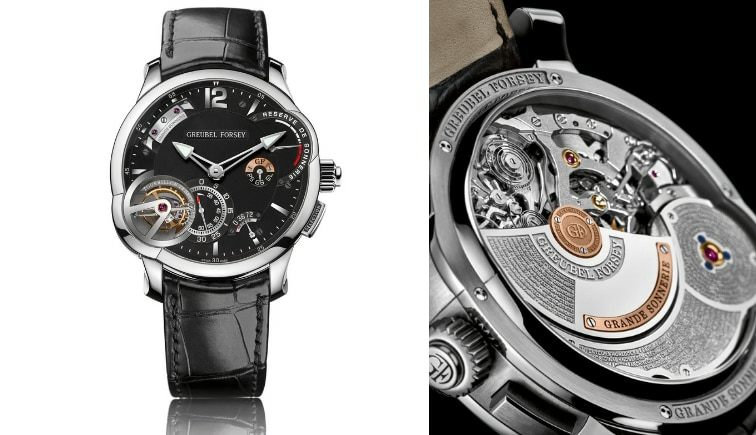 While the movement is manual-winding, the striking mechanism also features an automatic winding system by means of a platinum oscillating weight engraved with the Greubel Forsey guiding spirit–and delivering some 20 hours’ strike reserve in Grande Sonnerie mode. The Grande Sonnerie strikes the hours and quarters in passing, while the Petite Sonnerie sounds only the full hours in passing. A Silence mode can be activated via a pusher. 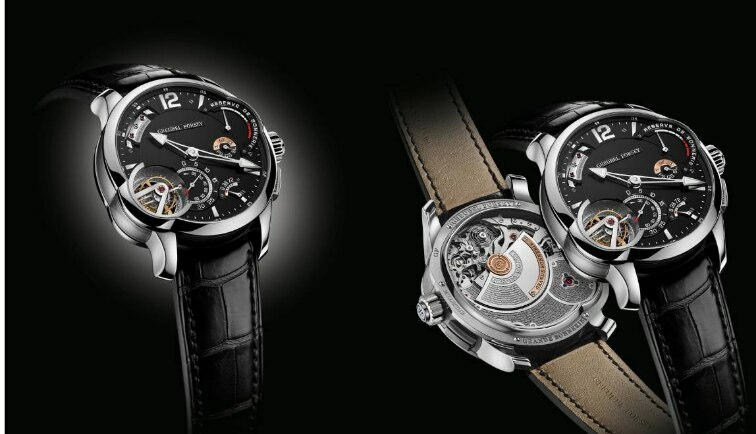 On demand, a minute repeater and its additional mechanism strike the time to the exact quarter and minute. Furthermore, the timekeeping precision of the timepiece is ensured by the third Fundamental Invention: the Tourbillon 24 Secondes, which uses fast rotational speed and an inclined angle to solve the problem of the oscillator’s critical positions in relation to gravity. The 25° angle and the rapid revolution of the tourbillon cage significantly improve the precision timekeeping performance of a system comprising just one tourbillon, especially in static positions. Among the other salient characteristics of this timepiece are a frequency of 21,600 vibrations/hour and a chronometer-worthy power reserve of 82 hours. This watch is the perfect embodiment of style and practicality, making it an apt present for your loved one.